Decorgraphy is winning for their quirky, bold home decor that transforms any space instantly. Their use of bright colours and positive quotes make every creation a piece of art. Want to redo your room or looking to gift a friend something thoughtful? 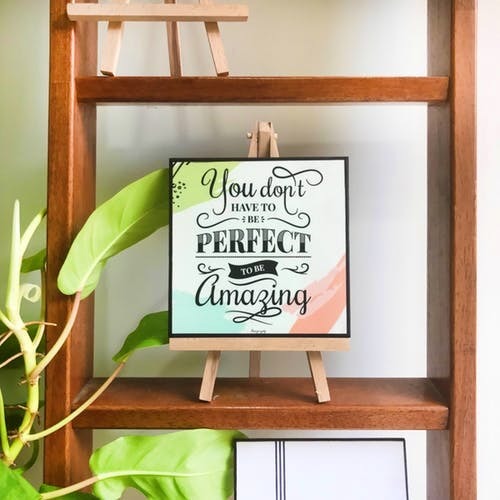 Decorgraphy is doing bright, colourful wall hangings and art frames that look so cool and have fun, motivational quotes on them. If you're tired of the usual. mundane art posters you see in peoples' houses or offices, their work is breath of fresh air. Their wall hangings are definitely our favourite, they come with two hooks, they can be used for office or wall decor using rustic chains or jute threads. They're creative and so inspiring, they work as a nice thoughtful gift for someone. We also really love their bright, magnetic boards. They've got stuff like maps, globes and more painted beautifully on them. You can pin up pictures or reminders or anything else on them. If you're looking to transform your room with some fantastic art, Decorgraphy is one place you should check out. Plus, it's easy on the pocket too, so they're winning extra points for that.